Creative Sketchbooks is an exciting course aimed at any artist, designer or craftsperson who wishes to develop their skills when working in sketchbooks. While exploring different themes students will work not only in ready-made sketchbooks but will also learn how to make their own books offering limitless creative potential! During the course we’ll cover ways to gather inspiring visual material and record it using a wide range of mediums and techniques. The resulting work will form a unique and personal resource for future work which could be developed towards any fine art or craft route, or simply to enjoy as beautiful, colour-filled journals. This course is ideal for beginners or more advanced students requiring a structured framework within which to develop creative skills and good practice. 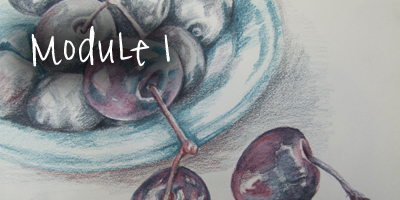 Creative Sketchbooks can be studied independently as a short course or you may find it the ideal way to supplement your knowledge and portfolio towards another course being studied elsewhere. No previous art or design experience is required – we’ll guide you through every technique step by step and share with you everything you need to know. 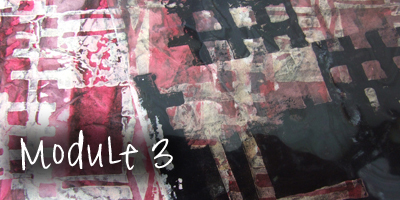 Two sketchbooks filled with a variety of techniques including drawing, print, collage, stencilling. One book will be a conventional ready-made book which we will provide in your Art Kit, the other will be made from scratch using simple bookbinding techniques. You can work at your own pace and take your time or complete the course more quickly if you prefer. Access is unlimited and the benefit of working online is the flexibility it offers. You can work wherever and whenever you like. The course contains 47 videos in addition to the illustrated written workbook. You can read the workbook online, but as it’s also a PDF, you can choose to print a copy to read at your leisure, or save it to a tablet device such as an iPad to have beside you as you work. It’s vital that you’re able to view the video workshops as these are a most important feature of the course. Test to see if your computer and internet connection can cope by watching any of the free videos on our site. If you can view those without a problem then you’ll be fine. If you find that the video stutters or stops, this is usually down to your internet connection. It might be a bit on the slow side if other people are also using your connection or the computer might be busy with other tasks (downloading an update etc.). If using WiFi to connect to the web then that may be slowing things down too, try plugging in directly instead. It’s also a good idea to allow the video to preload. Simply click ‘Pause’, immediately after clicking to play, allow the video to download for a minute or two, then click ‘play’ again to resume. If you have any other problems or questions just let us know and we’ll see if we can help. The course has been devised to be as wide ranging and thorough as possible. You do not need to do all of the activities, but of course, we’d recommend that to get most from the experience you give everything a try. The course is presented as a fully illustrated workbook which will guide you through the activities in plenty of detail, even for beginners. The video demonstrations will provide extra help with the activities. 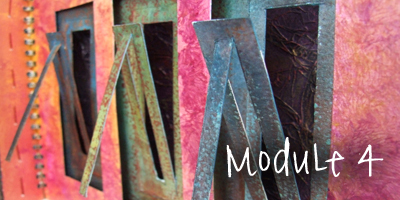 Each module builds on the skills acquired from the previous module and early pages are often revisited to add more detail and depth. If you need extra help or have questions please don’t hesitate to email and we’ll do our best to advise and guide you. If you’d like to share what your working on, why not post photos in the Gallery. Your fellow students may also be able to chip in and let you know what’s worked for them too! We love to see what you make and look forward to new sketchbook pages appearing there. It’s also a great place to see what other DMTV members and students are doing, share ideas and inspiration. 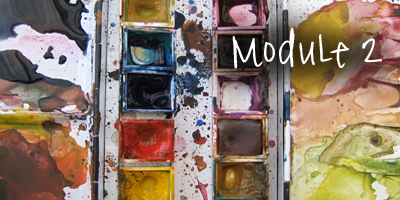 The price of the first module includes a starter pack of an art kit of essentials which is posted to you on enrolment. 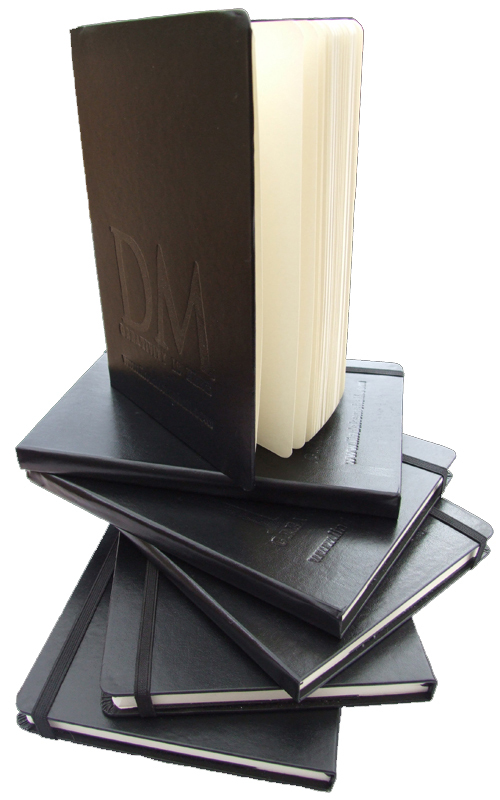 We’ve tried loads of different sketchbooks over the years, and found this one to have just the right combination of size, paper weight and paper quality. It has a pocket at the back to stash away loose things and an elastic strap to keep everything in place. This is a portable set of waterbased paints, intensely coloured and ideal for sketchbook work. The brush is a synthetic, round, a great all-rounder! 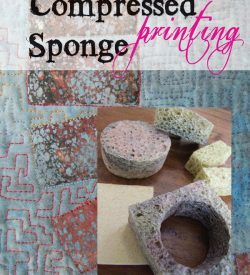 One of our favourite printing tools, compressed sponge is great fun to use. Yours will arrive in a plastic bag, keep it in there till you’re ready to use it and don’t let it get damp! OK, we know you may have these already, but there’s nothing nicer than starting a fresh sketchbook with a nice new pencil! We’ll supply you with a solid graphite pencil that can also be used for rubbings as well as drawing.